It’s no secret that Generation X’ers and Boomers have struggled to build relationships with Millennials. At home or in the workplace, Millennials have built the reputation of being hard to please and impossible to understand. They’ve been labeled as lazy and entitled. At work, they have the reputation of wanting promotions within weeks of their start date. They want stock options to work in the stock room. They want to telecommute to assembly plants. While those things might make for a few funny memes (or depressing ones, depending on your perspective), the truth is, we have it all wrong. While any stereotype is based in some truth, in this case, studies show overwhelmingly that these are misnomers. Because of this, we need to change our scripts around what we think about Millennials, especially since currently they make up 35% of the workforce, and will account for 70% by 2025. That means that you are one, you’re hiring one, you’re working with one, or you’re managing one. So how you work better with and motivate Millennials is not a conversation we can ignore. In fact, it’s a conversation I’ve had with many companies, from mom-and-pop to household- name brands: how do we better attract, recruit, and retain Millennial talent? 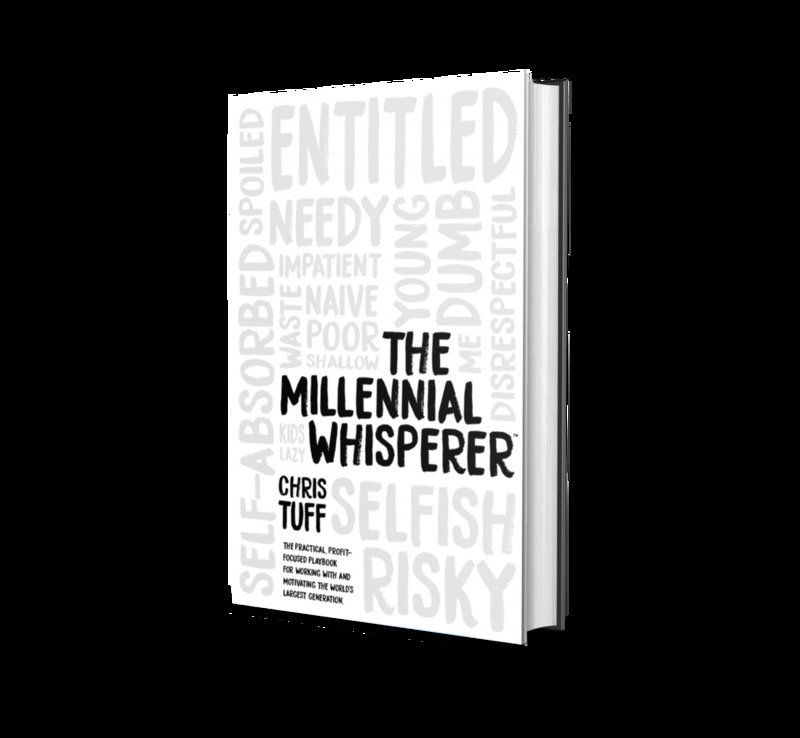 So, I sat down with Chris Tuff, Senior Partner at 22squared and author of the upcoming book, The Millennial Whisperer: The Practical Profit-Focused Playbook for Working With and Motivating the World’s Largest Generation. 1. Great relationships start with great understanding. If you do not understand someone, how can you build a relationship with them? Tuff says leaders must understand two things about Millennials before they can build strong relationships with them. “First, leaders must know there are really are two groups of Millennials, the younger and older. The older Millennials were born in the 1980s. They didn’t get technology until they were in high school or later. When the Great Recession hit in 2008, many were graduating from high school or college. Some were in the workforce. They were hit directly by the Great Recession, either by losing their jobs or not being able to find one. They learned to distrust companies because of their direct experiences,” explains Tuff. “The younger Millennials were introduced to technology at an earlier age and were still in grade school when the Great Recession hit. By the time they graduated, the economy was growing, but they witnessed their parents lose their jobs, sometimes after decades of working for the same company. Right or wrong, seeing their parents lose their jobs made them believe company loyalty worked only in one direction,” he continues. Once we understand from where Millennials came and what’s going on in their lives, we can build much stronger relationships with them. 2. Connect with your Millennial teammates on social media. Past leadership wisdom says that there should be a division between work and personal life. That line is now blurred. 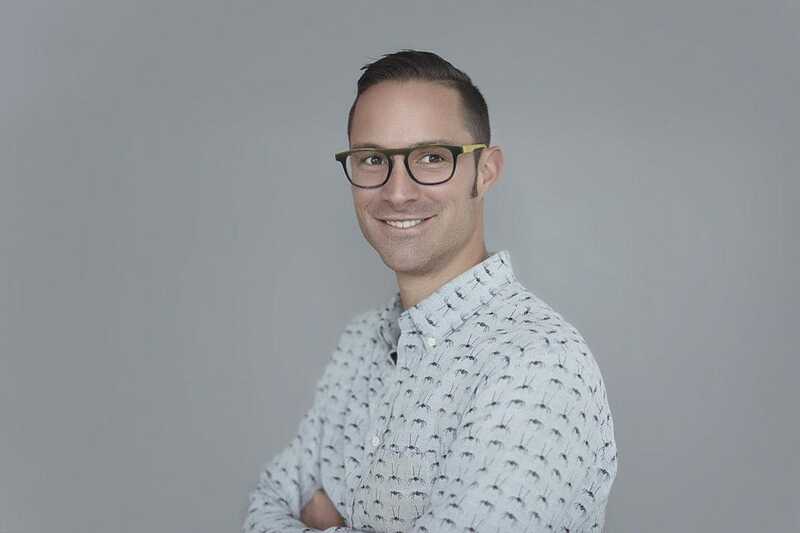 Tuff explains, “The general rule is to connect with them without being a creep,” emphasizing that social media is a great tool to learn about and build relationships with Millennial workers. One thing Tuff notes is thinking your Millennial workers would feel strange having you as a friend on Facebook is a tell-tale sign that you need to build stronger relationships with them in the first place. If that sounds like you, start with the in-person version of social media… you know…talking with a person about things that are important to them. 3. Help your Millennial workers pursue their side hustles. In Tuff’s experience, many Millennials dream about passion projects. “They envision themselves as the next Mark Zuckerberg or think they will develop the next Uber or Airbnb. If we push back against them, they will only want it more and might quit,” he says. Tuff continues, “I’ve found that mentoring my Millennial employees in their pursuits of side hustles actually shows them some harsh realities. Entrepreneurial life is not for everyone; more often than not, Millennials get a small taste of it and want no more.” If you let them pursue their side hustle, they’ll greatly appreciate your support and your relationship will blossom.